Last week's junket to the Oregon Coast produced flashbacks of a similar trip 47 years earlier. That 1969 trip included stays in Seaside and Cannon Beach, both of which were a whole lot less developed than they are today. The first stop this time was Pacific City, where I hadn't been in almost 20 years. The place has grown up substantially in the interim. But it occurred to me that the Pelican Brewpub continues to serve as a sort of hub for the tourist crowd, just as it did before. Hang onto that thought. Down Highway 101 some 70 miles is Yachats (pronounced Ya-Hots), a small and unassuming coastal community. It features a collection of h/motels and a handful of obviously independently-owned businesses in the quaint "downtown" core. It looks something like Seaside did 47 years ago. To say Yachats is underdeveloped is something of an understatement. I assume the collapse of the timber industry and the slow arrival of tourism is the explanation. 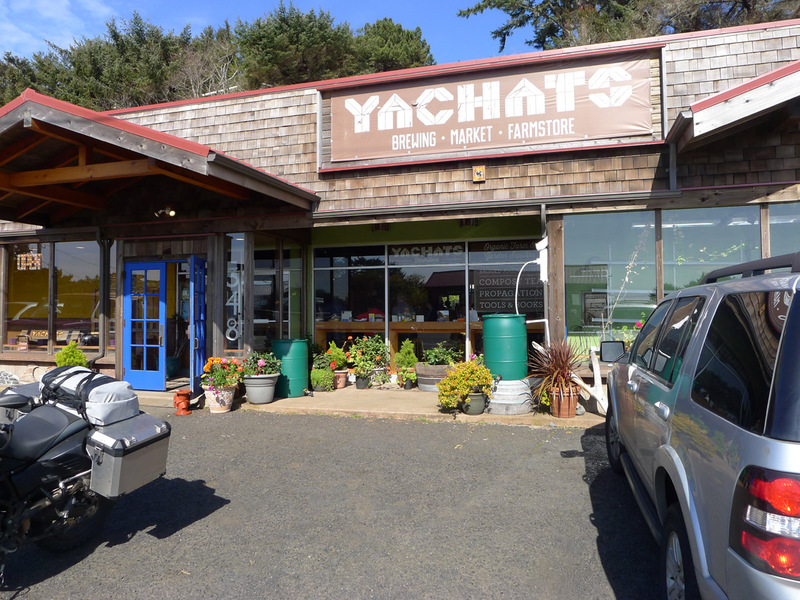 Located where it is, Yachats has largely escaped the gaze of developers and their ilk. But you can see that changing. 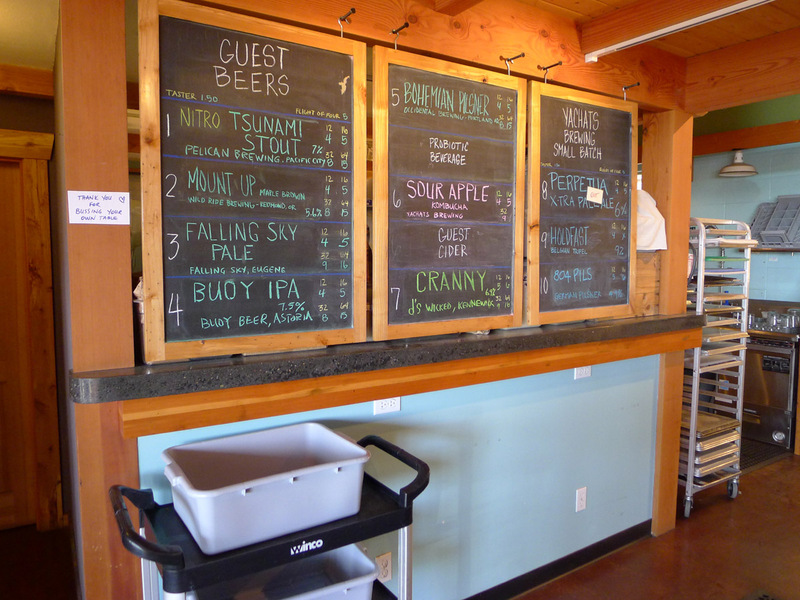 One of the things that will almost certainly help promote Yachats as a destination is the brewery that opened last summer. 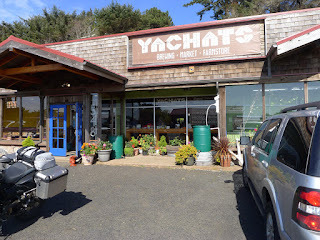 Yachats Brewing is located inside the Yachats Farmstore, which specializes in locally grown, organic produce, meats and more. The Farmstore, founded in 2012, is the brainchild of Nathan and Cicely Bernard. Part of their plan from the outset was to install a 10 barrel brewery. Since last summer, their beers have been produced on a tiny 20 gallon system using (I'm told) carboys for fermentation. Hard to believe. 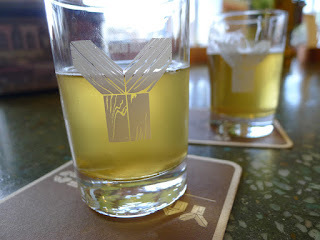 When I stopped in last week, only two Yachats beers were on, a nice pilsner and a Tripel that seemed a little off. Several guest taps filled out the lineup. They are apparently close to having their 10 barrel system operational, whereupon they will add additional taps for house beers. The gent manning the bar said they will probably always have some guest taps. We'll see about that. The brewing operation is headed up by Charlie Van Meter (formerly of Sasquatch and Logsdon) and his fiance, Jenna Steward. How Van Meter wound up at Yachats is complicated and involves a connection between Nathan Bernard and former Logsdon brewer, Chuck Porter. Read about it here if you feel the need. Once these guys are up and running at full capacity, expect to see some amazing beers here. 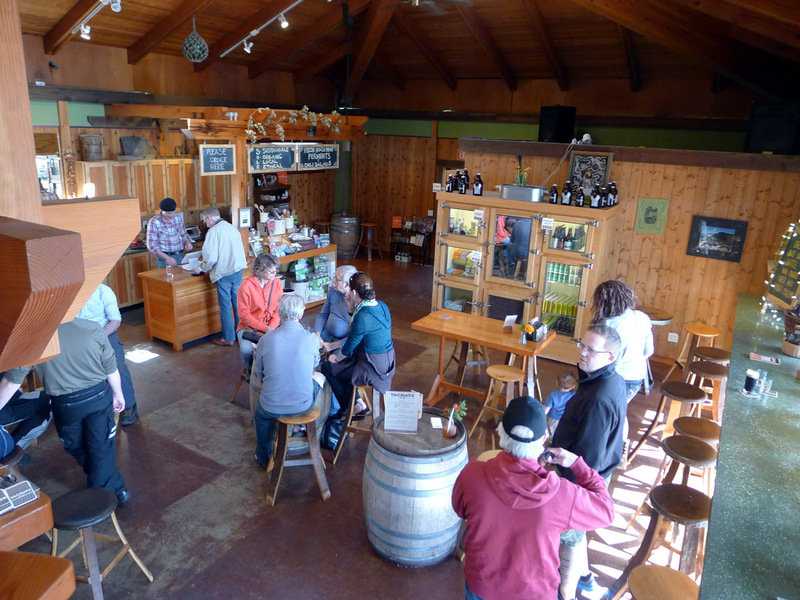 The brewery may well develop the kind of reputation that will attract visitors to Yachats, similar to what Pelican has done in Pacific City and what we've seen in countless other places. You have to wonder in some ways if Yachats is ready for what's coming. Not everyone who lives there (around 700 inhabitants according to US Census estimates) or visits regularly is going to be pleased with the added interest. Yachats is going to change and some won't like it. 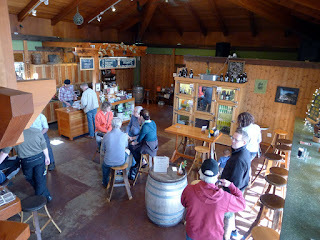 The first problem Yachats Brewing will likely face is that the space, which is nicely done, isn't near big enough. It was barely big enough on a quiet Tuesday when they had two of their beers pouring. What's going to happen in a year when they have 10 beers and a reputation? Needing more space because you're busy selling beer isn't a bad problem, but it is a problem. Or will be. As so often happens in craft beer, the owners will have to figure these things out as they go along. There are no free lunches and no guarantees, but this venture has the look of a winner in a place that needs this kind of presence. This brewery is a big deal for Yachats.